Dedicated collectors will pay vast sums of money for boxed, mint-condition gaming hardware or rare game cartridges. But with so many millions of units having been produced over the years, the sad truth is that much of the gaming gear we once adored or spent months saving up to buy now sits broken, gathering dust on a shelf somewhere. So why not turn this old junk into something more useful? Recently shared by Japanese news site Naver Matome, these six creative uses for old gaming hardware range from the simple-but-effective to genuinely impressive, and may just inspire you to dust off that NES your brother spilt Coke over all those years ago. Prior to coming to Japan, I never really saw the point of tissue box cases; the tissues are already in a box, so why put them in another? As it happens, though, pretty much every Japanese household keeps their boxes of tissues inside some form of case that matches the surrounding decor, so what better way to help your man-size Kleenex blend in with the rest of your gaming grotto than by hollowing out a broken SNES and using the cartridge slot as a dispenser? It’s just a shame that this generation of hardware was still made with plastic that turned such an awful colour when left in the sun. With its distinctive purple buttons, this use for an old SNES controller clearly comes from North America, but it nevertheless caught the eye of Japanese netizens who liked the idea of mounting their iPhone on a piece of classic gaming hardware. Quite how this setup is achieved we’re not entirely sure, but as the old saying goes: if something can’t be fixed with duct tape, you’re not using enough of it. Continuing the controller/dock theme, this creative recycler turns a Nintendo 64 controller into a stand for their smartphone. 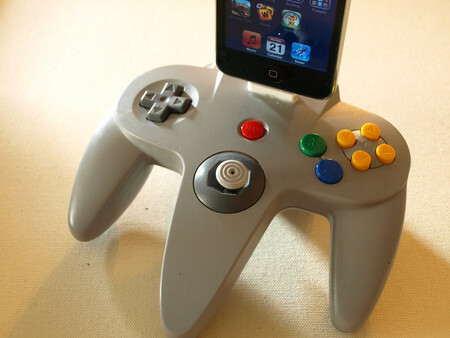 The N64 pad is arguably sturdier than smaller, flatter controllers, and with the memory/rumble pak expansion slot on its underside, will raise your phone up nicely. A perfect use for all those controllers rendered useless by extended Mario Party sessions! I’m not sure how I feel about turning actual game cartridges into other things since they tend to last much longer than the consoles themselves, but it’s hard to deny that this flash memory drive has its own unique charm. Plus, while there’s little danger of you accidentally leaving this thing in a computer somewhere due to its larger size, it’s not so big that you’ll draw strange looks or struggle to get the thing in your bag. Last, but by no means least, we have an entry of true geeky beauty: SNES headphones, as created by YouTuber and modder lyberty5, who even provides a step-by-step guide to turning a Super Nintendo controller into the ultimate gaming cans. If only those buttons could be wired up to control the game/voice balance for online gaming. If you have any novel uses for old gaming hardware, or if any of these have inspired to you do some modding of you own, be sure to let us know in the comments section!